Since everyone's chin profile is different, the number of treatments varies from patient to patient. Your healthcare specialist will help determine how many treatment sessions you need based on the amount and distribution of your submental fat and your personal treatment goals. 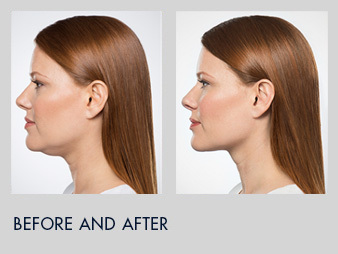 Each KYBELLA® treatment session is given at least 1 month apart, and you should not receive more than 6 treatments. In clinical studies, 59% of patients received 6 treatments.